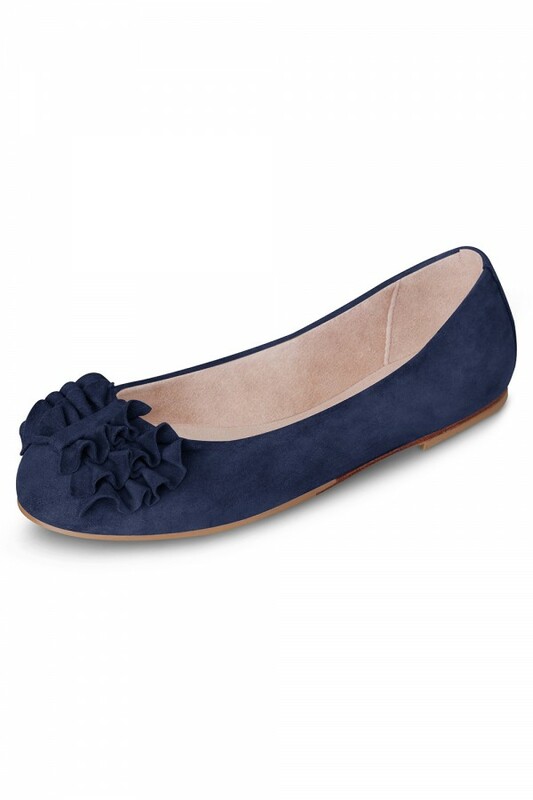 Super cute flat with ruffle bow crafted in a soft leather. The shoe has a hard leather outsole with rubber inserts for added grip and practicality. A decorative ruffle bow at vamp adds that finishing touch, paired with a faux suede lining and padded teardrop at the heel for superior comfort.